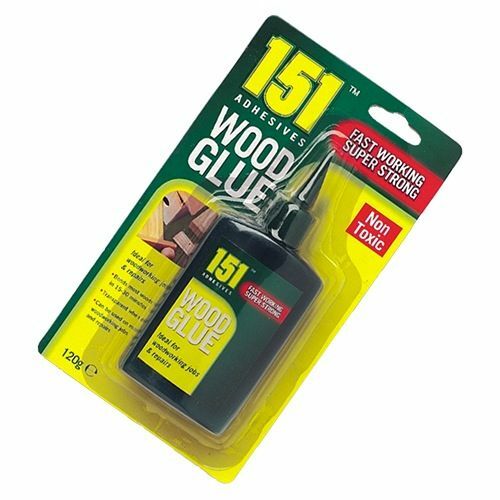 151 fast working wood glue. 120g approximate. Ideal for woodworking jobs and repair. This transparent when dry wood glue will bond most woods within 15-30 minutes. This is a non toxic glue but as with all adhesives it should be kept out of the way of children.